The Terrigen Cloud released by Inhuman king Black Bolt has already rocked the world, but its effects on New York City are far from over! Now, a legendary Golden Age character descends from the skies seeking his own brand of revenge! When Red Raven attacks the Inhumans' newly settled city of New Attilan, Spider-Man joins a band of fledgling Inhumans to defend it. But just as the winged menace has them all at his mercy, an inspirational hero swoops to their aid! One bird turn deserves another as Sam Wilson, the high-flying All-New Captain America, battles Red Raven! Feathers will fly in this decade-spanning avian adventure penned by Jeff Loveness (The Jimmy Kimmel Show, DEATH OF WOLVERINE: LIFE AFTER LOGAN)! 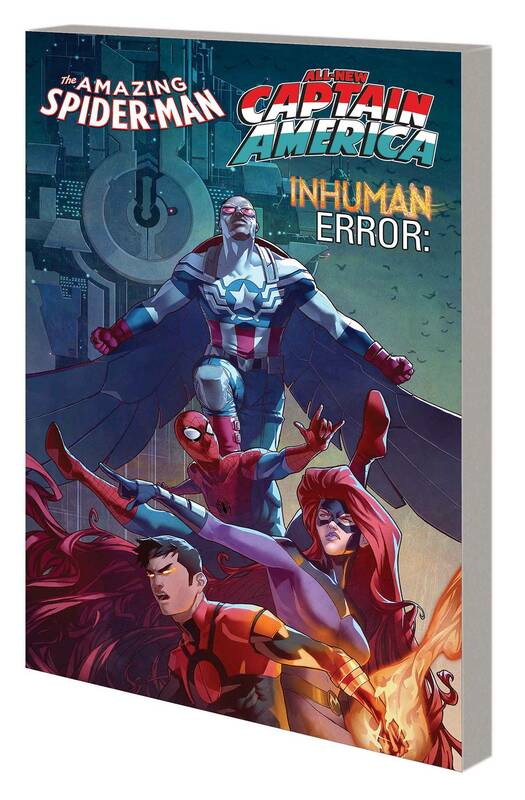 Collecting AMAZING SPIDER-MAN SPECIAL, INHUMAN SPECIAL and ALL-NEW CAPTAIN AMERICA SPECIAL.